Establishing a business within the Asian-Pacific region requires a high level of knowledge for the local markets and culture, unprecedented in any other part of the world. We have previously discussed the importance of localizing and translating your content to resonate with international consumers. However, to establish a long-term presence within the world’s biggest and highly-competitive markets, such as the Chinese, Korean and Thai, you need to come up with a unique, personalised marketing campaign, with an emphasis on the most popular platforms for online communication. 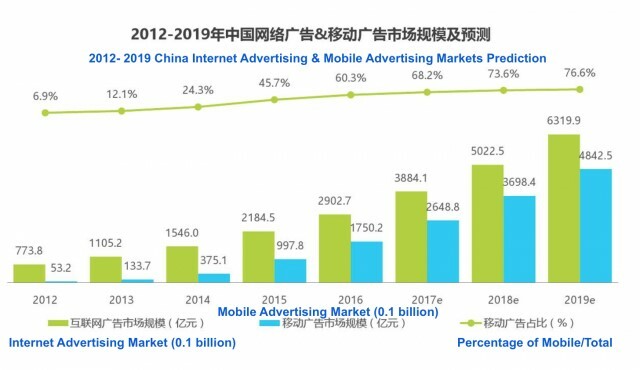 In recent years, mobile has come to dominate over desktop use, and this revolution has not surpassed the Asian markets, where app usage is at an all-time high. In China alone, there are 724 million mobile Internet users, who spend the majority of their time on shopping and lifestyle apps. If you are looking to introduce your product or service to the Asian-Pacific region, mobile is the first platform you should be optimising for. A mobile app offers a direct communication channel with your customers, allowing you to send promotional messages, including offers and discount codes. However, before focusing on mobile app development, you need to ensure that your website is optimised for mobile use. Providing a seamless online experience for customers browsing on mobile is essential for generating sales. Last, but not least, consider the increased use of social media on mobile. The mobile platform most frequently used by the Chinese consumers, for instance, is WeChat. As a consequence, many brands have created official accounts within the network, enabling customers to get in touch at any time of day, via a communication platform they know and love. Introducing a product or service to the Asian consumers requires a unique marketing strategy, based on the locale’s cultural and linguistic specifics. If your product is already successful in Western countries, do not be tempted to use the same materials and techniques when it comes to capturing the attention of the Asian consumers. Considering the major cultural, linguistic and behavioural differences between the markets in the East and West, you might need to seek the services of a professional translator with previous experience in crafting localization strategies. Working with a specialist who understands the way customers communicate will help you get your brand’s message across in a way that resonates with the targeted audience. With that being said, businesses looking to establish their presence within the Asia-Pacific region need to be careful not to generalise consumers by their nationality. Asian countries, such as China and Korea, are multicultural and multinational – trying to segment your audience by their nationality won’t bring you the expected outcomes. Instead, try to find the similarities in consumers’ purchasing behaviour, explore their interest in similar products and see which marketing campaigns have had previous success. Once having identified a consumer group with the same interests and a common language, it will be easier to create a need for your product and establish your name on the market. Due to a digital censorship program, the world’s most popular social media platforms are not available in China- the country comprising of the world’s largest population. In order to increase your product’s visibility amongst online users, therefore, businesses need to adapt to the communication platforms available in the country they are targeting. Whether it is China’s WeChat or Japan’s LINE- finding out where do your customers spend the majority of their time online will help you engage with them on a more personal level. An effective marketing campaign, therefore, goes beyond researching the kind of customers you wish to target with your message and product. A huge part of it is also being able to facilitate organic communication with these customers, by adapting your campaign for the online platforms they use daily. If you have decided to target the Chinese consumers, then the sooner you realise the importance of high-quality content for the success of your business, the better. If you are thinking about recycling your old marketing campaigns by translating them and featuring a few local images- then you better give your hopes of dominating the marketplace. To succeed, you’d need to work with a team that can produce content that will resonate with the cultural and economic background of the consumers, presenting your brand’s story within a local context. Coming across as a company that is conscious and respectful of the foreign customers and their culture will win you their trust and respect and will set you apart from the competition. Research reveals that social media messages including video are shared 1,200% more times than messages containing text and images. Video has become an essential part of digital content marketing strategies, as it generates the highest return of investment out of any other type of promotional content. The rise of video has a lot to do with the increased mobile use and customers’ demand for instantaneous, real-time communication with businesses. Video content is a great way to engage with your customer and facilitate brand loyalty. An example of a successful video marketing campaign is Adidas Indonesia’s Periscope live stream programme, which aimed to promote the brand’s new line of football boots. To engage with the audience, the brand live streamed their search for Indonesia’s most talented football players – a great way to make the customer feel closer to the company and create positive associations with its products. Indeed, it is challenging to crack the code of being successful within the Asian markets. However, provided that you put in the necessary effort, you will be rewarded with a loyal customer base that relates to your brand image and is interested in the products you put out. For this to happen, however, you need to unify your marketing and content creation strategy, focusing on not only translating old materials, but also on working with language specialists to create new, tailored content. If you are a business looking to expand itno the APAC region, then 1-StopAsia and its experienced translators can help in relating your business’ message to the specific market yu are targeting.